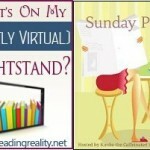 Stacking the Shelves (239) – Escape Reality, Read Fiction! 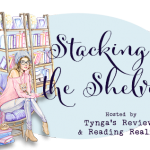 Stacking the Shelves is co-hosted by Tynga’s Reviews and Reading Reality. If you add your link here, it will appear over there, and vice-versa. That’s the way it’s supposed to work, but didn’t last week. Hopefully we’ll be back on track this week. I have two Phryne Fisher books this week. Phryne is a comfort read for me, so when I bounce hard off of a book, as I did off of Come Sundown, I turn to Phryne. What I’ll do when I finish all 20 books is anybody’s guess. For me, these are perfect, whether any one book in the series is excellent or merely just a good time. I like the world, I like the characters, and when I’ve hit the last minute, which is what happens when a planned book fails, they are the perfect length. I can get through 200 pages in about 3 hours. Lovely bedtime reading! Phryne is just perfect when you need something to break a bad streak or something. I’m rereading them all, even though I only read them last year. There’s something refreshing about them! Have a great weekend and a wonderful week ahead. Lexxie @ (un)Conventional Bookviews recently posted..Weekend Wrap-up #190 – Master’s – Done! Most books on your list are new to me, gonna have to check them out! What a nice mix of books! The Summer That Made Us looks like a book I would enjoy. Have a fun week. Great looking haul. I might have to check some of these out.